I’m thrilled to participate in Artcetera 2018, because I believe in what the AIDS Action Committee is doing for prevention and advocacy of AIDS programs and policies, and I would like to do my part in supporting their great cause. As an artist it is important to me to use my visual language in a positive way to speak out on issues that are affecting so many Americans and advocate for empathy and change in this political climate. 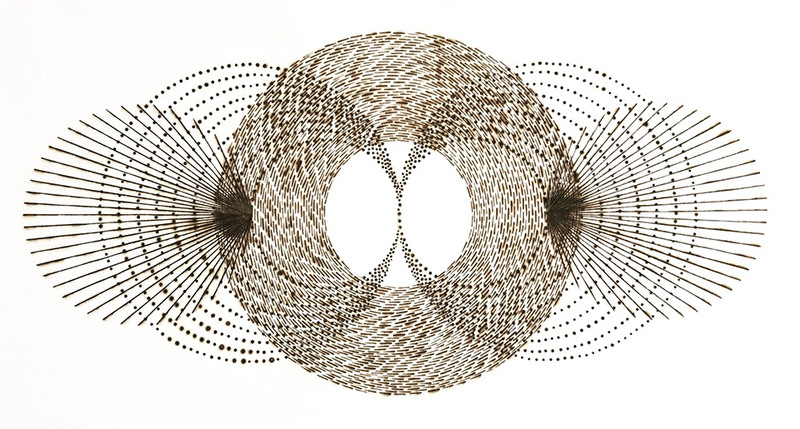 Katrine Hildebrandt-Hussey is a Boston-based visual artist whose work is inspired by sacred geometry and the metaphysical mapping of space and time. Using volatile processes like hand burning paper, the artist creates layered, geometric work. She primarily explores patterns, and meditates on the correlation between chaos and order, permanence and transience, and the interconnectivity of the universe. She earned her BFA at Hartwick College and her MFA in Sculpture at Massachusetts College of Art & Design.